Pixie haircuts are the perfect way of showing off your beautiful features. 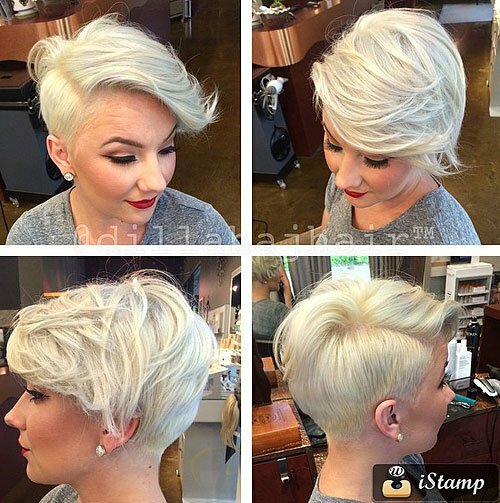 Low maintenance but high style, a pixie cut is brave, bold but oh so beautiful! A pixie cut is short and cropped, offering you an easy style day in and day out, and who could want more than that? It can be incredibly nerve wracking to crop all of your hair off, so we’ve gathered a collection of our favourite pixie crops to inspire you to be daring and show off that gorgeous face of yours! 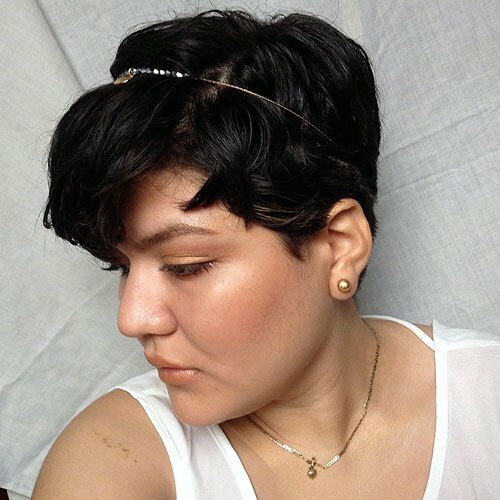 This gorgeous brown curly pixie crop is incredibly cute and we think you’ll most definitely agree. It’s cropped closely at the sides and on the back of the head, but finished with a gorgeous mass of curls on the top of the head; which we think looks stunning! This lady has rich brown hair which is one block colour and we think it looks great, but you could add some highlights to lighten the look up too! This curly black crop makes this lady look as pretty as a princess and this gorgeous style is just perfect for an event or a special occasion! Cropped close to the head, and finished with a beautiful fringe that frames the face to perfection, this stunning pixie cut is curled beautifully to create a stunning silhouette. 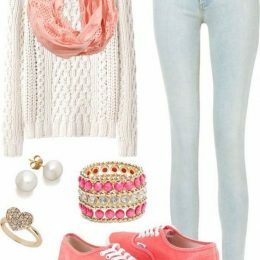 A straight look would look fantastic too! 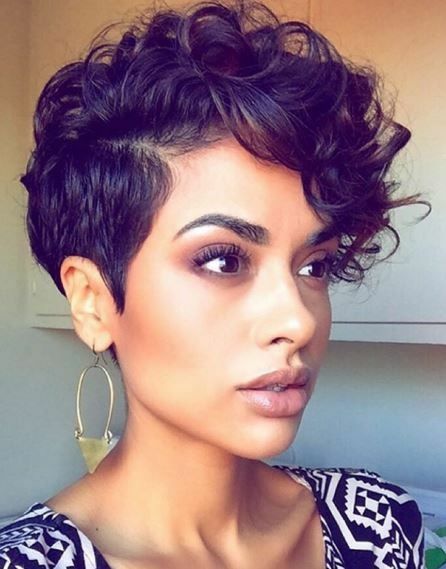 This stunning pixie crop might be one of our favourites, because we think the tight ringlets this gorgeous lady has gone for look absolutely sublime, as we’re sure you’ll agree. 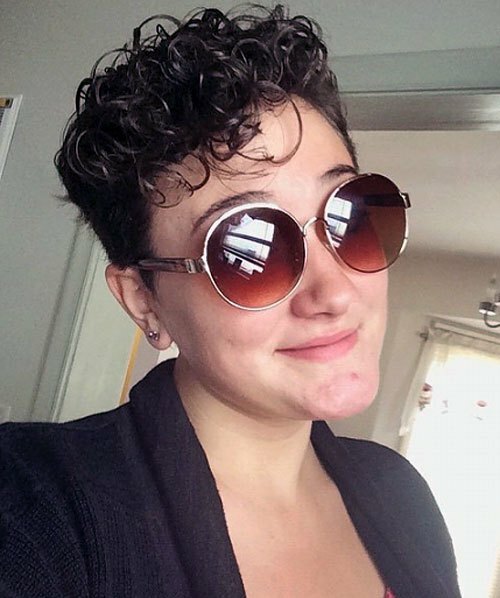 This fabulous lady has proved that a pixie cut need not be straight and sleek, and short hair looks equally beautiful with tight curly ringlets. We love this glossy black bob! 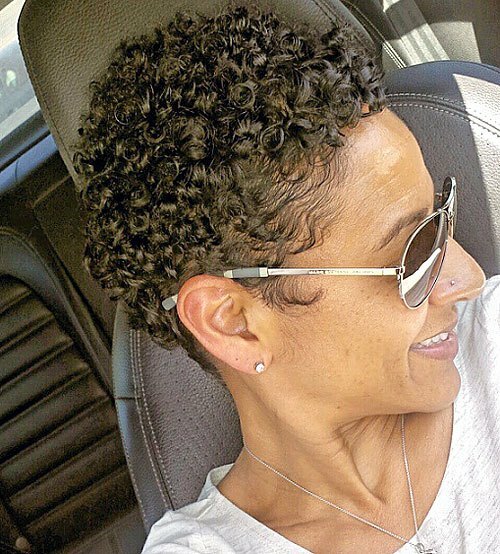 This bouncy and curly pixie crop is simply stunning, don’t you think? This remarkable lady has gone for a beautiful curly look which is pushed back from the face, highlighting her gorgeous features! 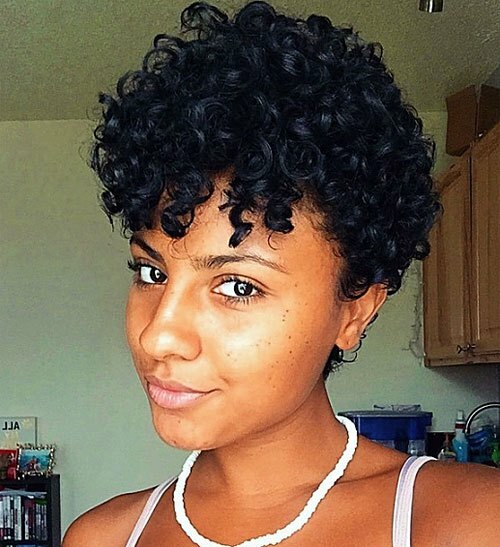 Her hair is a lovely and deep black and it’s curled in tight ringlets which creates a body and bounce to this unique pixie cut that we simply adore. 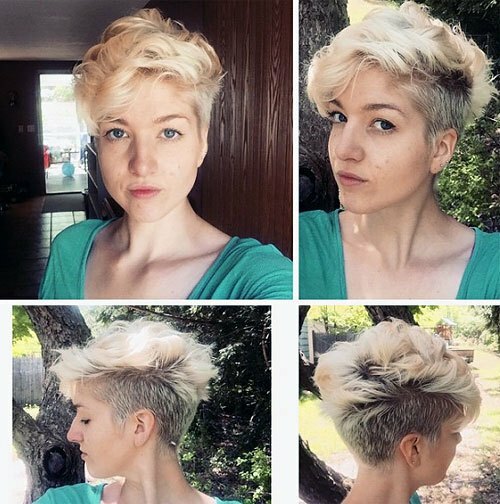 This gorgeous cropped pixie cut is cut incredibly close to the hair for a cool and short look around the back and sides, then finished with a gorgeous quiff on the top of the head. 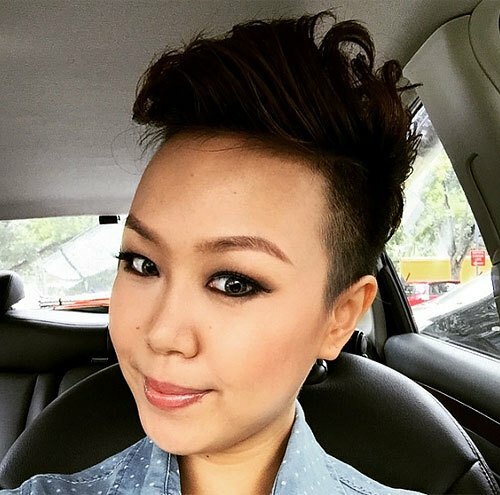 This incredibly gorgeous lady has curled her hair backwards for a fabulous quiff look that shows off her stunning features and creates a cool look and style too. 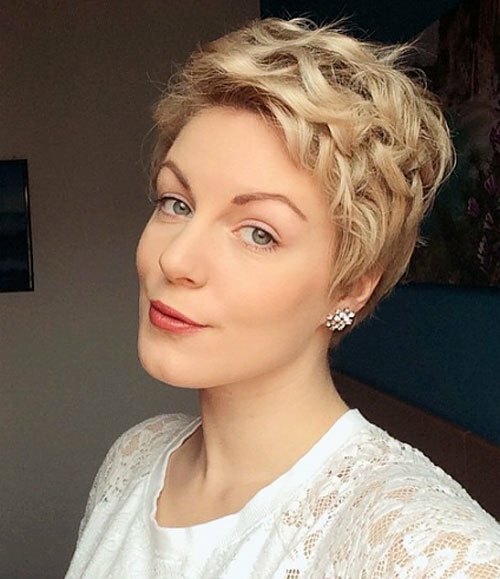 This roughly tousled pixie crop is loud, proud and absolutely perfect for your night out or special occasion where you really want to show off your fabulous new hair cut. This lady has gone for a cropped look around the sides, finished with a gorgeous long sweeping fringe which she’s tousled and curled to create a lot of bounce and shape around the face. 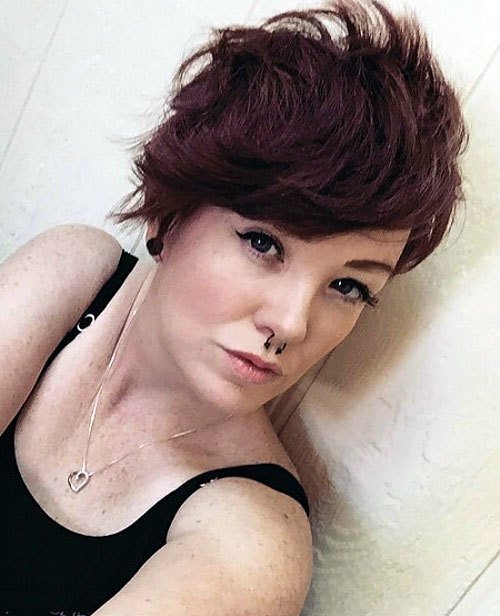 This red pixie crop is short, sleek and oh so stylish! This lady’s gone for a gorgeous inverted style which is slightly longer on one side than the other, creating a fabulous shape around the face. Finished with a stunning flick on the ends, this cut is full of volume and style, creating the perfect look for a day or night out style, don’t you agree? Auburn is without a doubt one of our favourite hair colours, especially when it’s on a beautiful pixie crop that will show off your gorgeous facial features! 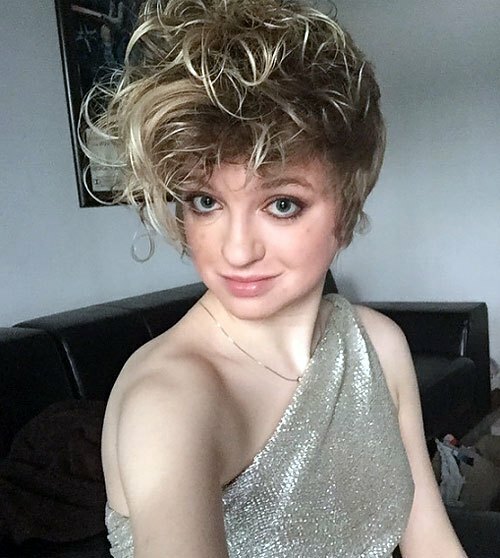 This gorgeous auburn pixie cut is finished with a very short fringe and curled all over to create a gorgeous finished shape full of bounce and body! 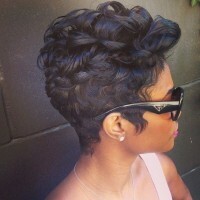 This cut would be equally stylish straight too. 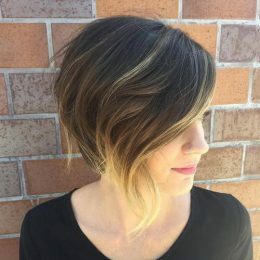 This short pixie crop is cut extremely close on the bottom layer of the hair, finished with slightly longer layers towards the top that fall towards a lovely fringe around the face. 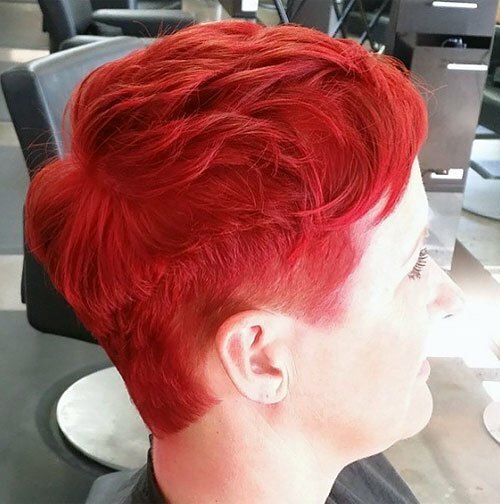 If this brave and bold cut isn’t enough, this lady has gone for a gorgeous and vibrant red colour throughout the hair which makes the finished effect even more striking! 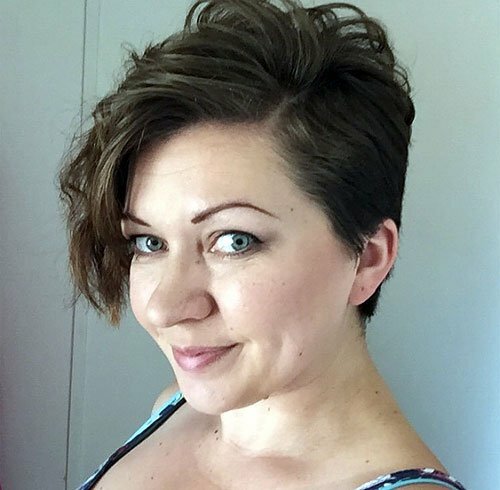 If you’re looking for a hair cut which is short, incredibly low maintenance and easy to style but still fashionable and eye-catching, then let this amazing lady be your inspiration! 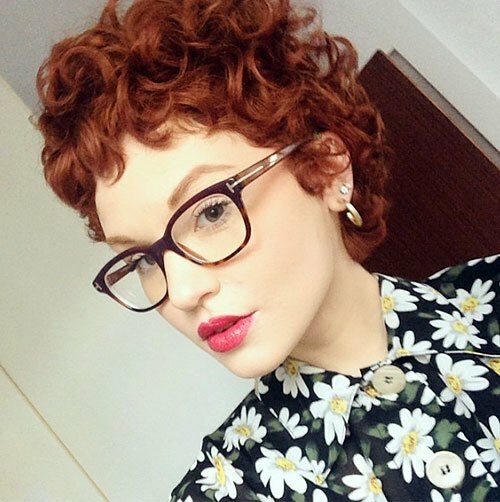 She’s gone for a pixie cut which is incredibly short, but full of beautiful tight curls all over the head to create a gorgeous halo of ringlets which looks simply amazing. 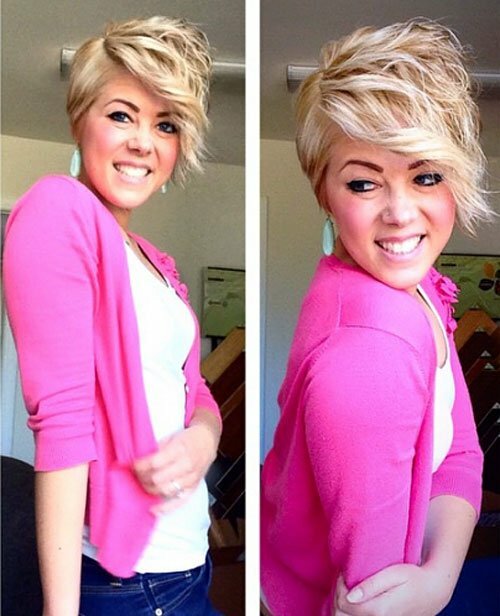 This gorgeous blonde curly pixie crop is simply adorable. Blonde, bouncy and full of life; we adore this stunning crop! This stylish lady has cropped her hair incredibly close to the head around the back and on the sides of the hair, then finished with longer curly layers at the top to create a beautiful fringe section which she’s curled to perfection! This gorgeous asymmetrical brown pixie crop is simply stunning; the very definition of low maintenance and high style. This stunning lady has gone for an incredibly short cut from one side and right around the back, and is then finished with a longer fringe section on the other side which frames the face beautifully. We adore this rich brown colour! 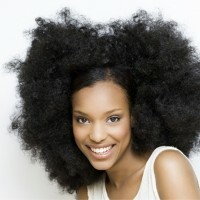 This deep brown curly crop is absolutely gorgeous! It goes from an incredibly deep brown at the root to a lighter more red-toned brown towards the end of the fringe, adding a subtle touch of light to the overall look. 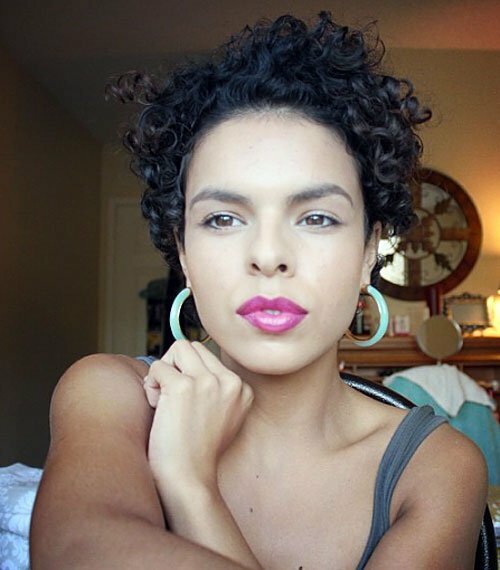 Finished with a gorgeous curl, this super short pixie crop is perfect for showing off this lady’s beautiful make up. This is a pixie crop with bags of personality, and we simply adore it! This lovely lady has gone for an incredibly short and close crop in a gorgeous blonde colour, finished with a lovely sweeping fringe that falls down the side of the face, creating a beautiful frame for the face. 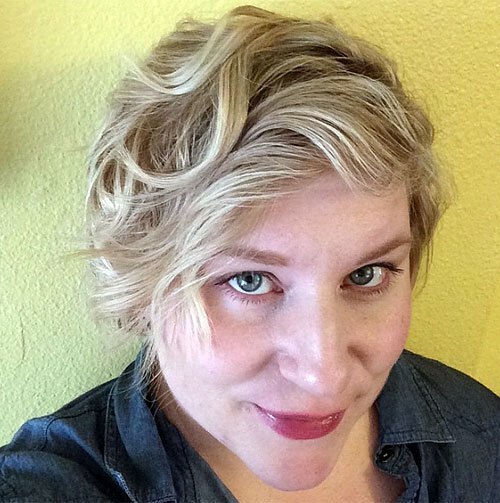 This lady’s curled her fringe to create a beautiful and bouncy look which we adore. 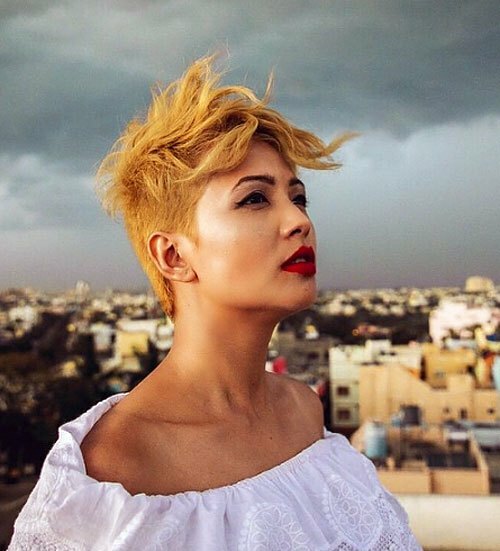 If you’re looking for a pixie crop that is simply striking, then we would point you in the direction of this beautiful picture, showcasing this stylish lady’s effortless appearance. She’s gone for a sublime white blonde colour all over which is gorgeous, and it’s cropped closely at one side and then finished with gorgeous big curls towards the fringe section. We absolutely can’t get enough of this gorgeous asymmetrical pixie cut which is finished with a fabulous sweeping fringe on the one side. It has a long section of hair which is curled perfectly creating a gorgeous shape around this lady’s face and the perfect look for an occasion or a night out. Wear the fringe straight for a versatile look! Imagine a world where you can wake up in the morning, quickly brush your hair and leave the house, ensuring that you look utterly fabulous at all times. By taking inspiration from this lady, that dream can become a reality. 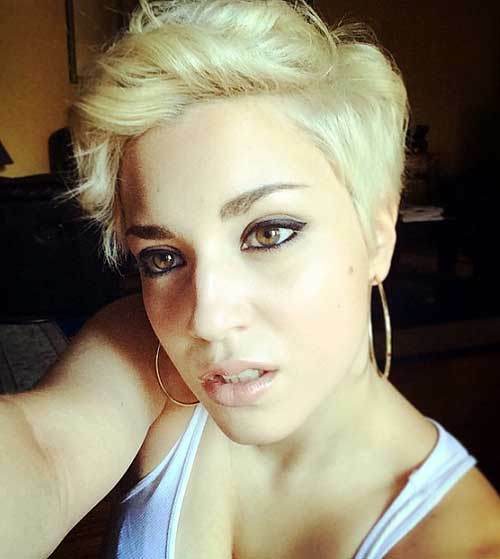 In a stunning blonde colour, her hair is cropped closely but still has plenty of shape thanks to her gorgeous curls. 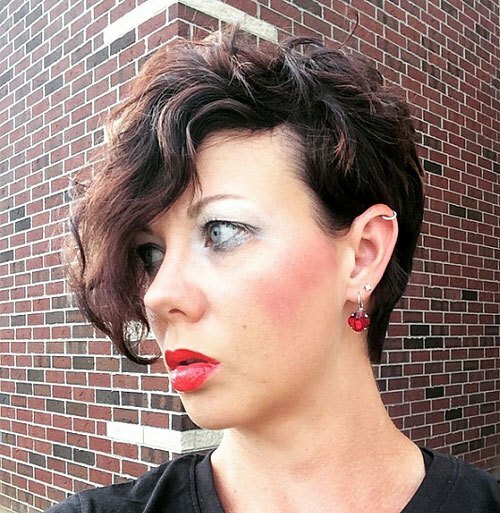 The best part about this pixie crop is the fringe section, which we imagine to fall nicely around one side of this lady’s face, finished level with the eye. In this picture she’s chosen to curl her fringe back and create a gorgeous quiff from her white blonde hair, but if you fancied a change you could straighten the fringe section for a completely different style. 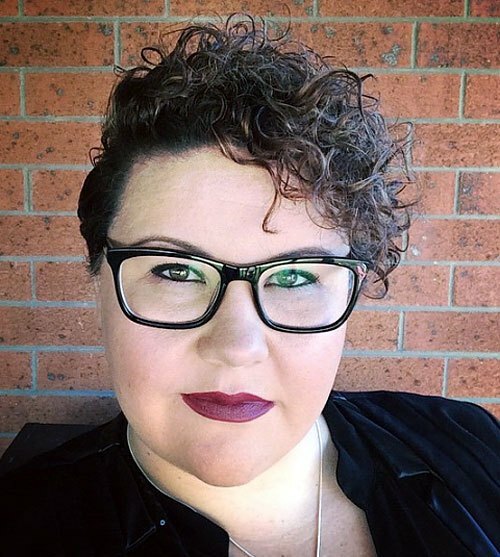 This wonderful lady has a stunning face, perfectly framed by her thick-rimmed glasses. To show off her wonderful features, this lady has gone for a beautiful brown pixie crop, cut closely to the head around the back and the sides, and finished with a stunning section of tight curls across the top of the head which makes a stunning finish. This lady has gone for a stunning hair cut which is designed to wow the crowds and ensure all attention is on her, which we believe she has achieved with ease! This stunning pixie crop is finished with a wonderful long layer on top which this lady has curled and tousled for a wonderful look. We can’t get enough of her stunning caramel hair colour too! Pixie crops are the perfect hair cut for a healthy combination of style and ease, and we just adore this beautiful selection of hairstyles we’ve collated for you in this post. 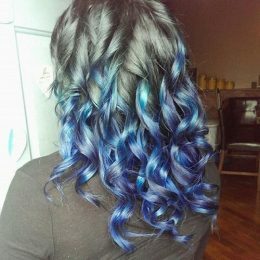 Hopefully you’ll agree and find plenty of inspiration here, however if you still want to browse, Styles Weekly has an infinite selection of hair posts to help you find what you’re looking for.